Middlesex University is looking forward to a successful academic year after scoring well against its London-based competitors in the new Guardian University Guide. Law, Music and Biosciences were just some of the diverse range of subjects taught at Middlesex that saw their ranking in the annual league tables strengthen considerably in the 2015 edition. 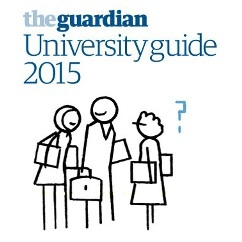 The Guardian uses a number of metrics to compile its overall rankings, including student satisfaction, spend per student and career prospects, with the aim of giving those planning to enter higher education an accurate picture of where they will get the largest return on investment in their chosen subject area. Middlesex also performed strongly on a national level, with Biosciences rising a very impressive 48 places overall, with strong improvements from Music (+42), Social Work (+42), Computer Science & Information Systems (+32), Law (+29) and Drama & Dance (+27). Among London-based institutions, Education, Fashion and Textiles, and Film Production and Photography all ranked in the top three in the capital, while Psychology, Economics and Design also performed strongly against London competitors. Commenting on these achievements, Waqar Ahmad, Deputy Vice-Chancellor Academic, said: "It's great to see that our long-term plan to grow Middlesex into a leading higher education institution is already achieving strong results. "With enhanced academic leadership and capacity, investment in improving student experience, a world-class campus at Hendon and our dedication to working closely with business and other partners, the future is bright for both the University and the students who choose to study with us."